Being based in Hampshire, the water is very hard. A water softener can be installed to enable a longer life and a more economical plumbing system in your home. There are multiple advantages to having one in your home and once installed you will wonder how you ever lived without one! 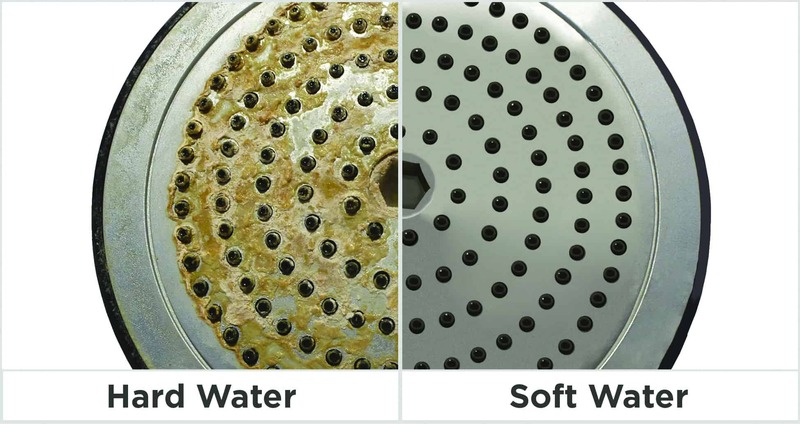 The great thing about a water softener is it is easy to install and easy to maintain and works without the need for electrical connections. The process of removing the hard minerals from your water is called ionisation. 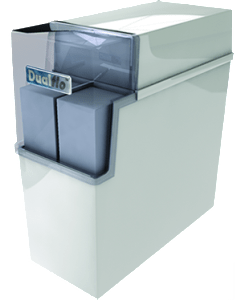 Within a Dualflo softener water is pumped through a bed of resin crystal beads which removes the lime scale and minerals from the water. When the beads need regenerating a solution of salt water is passed through this bed removing built-up scale and making it as good as new. Because this is the only process that uses any consumable in the softening the Dualflo just needs to be topped up with salt blocks on a periodic basis. Adding a Salt Block to the Dualflo is a very easy process. You simply lift a panel at the front of the unit and place the block in the recess, that’s it! There is no need to turn the unit off or to do any other complex operation than place a block of salt in the unit. Not only that but Humphrey & Crockett can supply you with the salt blocks to keep your unit running. Installation can be done in just a few hours and can be put into anywhere into, or outside, of your home where there is access to the incoming water pipe. If you would like us to install a Dualflo system in your property, then please give us a call on 01264 310493. We have one of these units in our showroom in Andover and would love to see you here to show you how this system works and how easy it is to maintain. Please call us to make an appointment at our showroom on 01264 310493 or use our contact page.